FedEx to Anyone With Less than Perfect Vision: GO TO HELL! 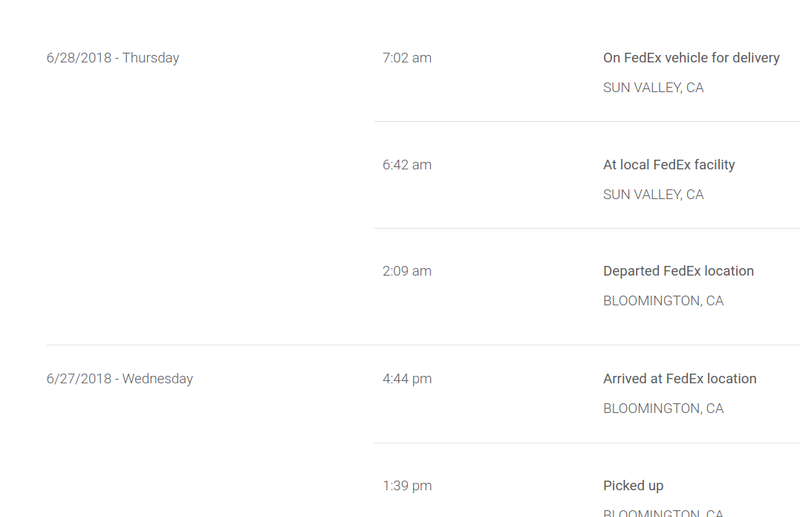 It appears that shipping giant FedEx has joined the “Google User Interface Club” and introduced a new package tracking user interface designed to tell anyone with less than very young, very excellent vision that they can just go take a giant leap and are not desirable as customers — either to send or receive packages via FedEx. As you can see in the screenshot at the end of this post (if you can actually see FedEx’s incredibly low contrast fonts that is — trust me, they are actually there! ), FedEx has transitioned from their traditional easy to read interface to the new “Google Standard” interface — low contrast fonts that are literally impossible for many people to read, and extremely difficult to read for many others without Superman-grade vision. I’ve written about these kinds of accessibility failures many times in the past — I suspect that some of them may rise to the level of violations of the Americans with Disabilities Act (ADA). They are designed to look pretty — and technically may even meet some minimum visibility standards if you have a nice, new, perfectly adjusted screen. But it doesn’t take a computer scientist to realize that their real world readability is a sick joke, a kick in the teeth to anyone with aging eyes or otherwise imperfect vision. The U.S. Postal Service recently moved their tracking interface in this same direction, and while theirs is bad, it’s not quite as much of an abomination as this new FedEx monstrosity. Google pushed this trend along, with many of their relatively recent interfaces representing design nightmares in terms of readability and usability for users who are apparently not in Google’s “we really care about you” target demographics. Google’s recent refresh of Gmail has been a notable and welcome exception to this trend. I’m hoping that they will continue to move in a positive direction with other upcoming interfaces, though frankly I’m not holding my breath quite yet. In the meantime, it’s FedEx who deserves an immediate kick in the teeth. Shame on you, FedEx. For shame. Author LaurenPosted on 28 Jun 2018 28 Jun 2018 1 Comment on FedEx to Anyone With Less than Perfect Vision: GO TO HELL!